Second edition of the sell-out successful ‘Rian Yorn Yuk’ edition of Nostalgic monk coins of the Great Guru Master ‘Por Tan Nam’ ex Abbot of Wat Don Sala and one of the Greatest masters of the Southern Samnak Dtak Sila Khao Or school of Sorcery. Por Tan Nam is revered not only by Thai People, but is highly revered in Singapore, Malaysia and many other Countries. 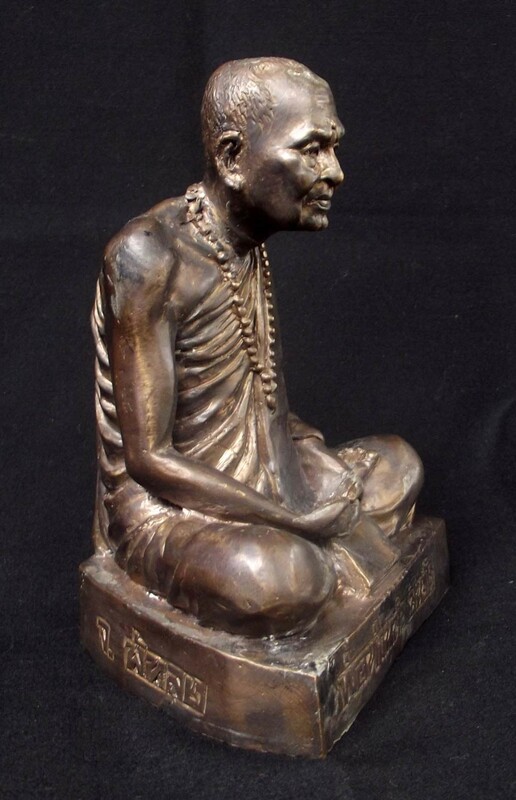 This Bucha statue was one of the Special Items released in the edition of Monk Coins and Pra Pid Ta amulets, all smelted using the Ancient Formulas in Olden Days Fashion to reproduce Classic Sacred Buddhist Amulets that are built to survive centuries of use. 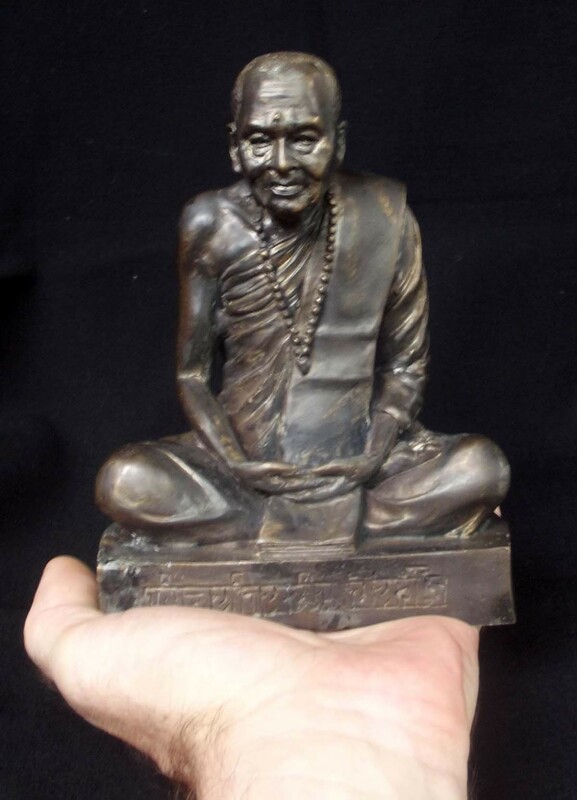 Highly sacred images of the Great Por Tan Nam are a wonderful addition to this Year’s contributions of Sacred Amulets and Bucha Statues for Devotees to have in their homes and wear on their person. 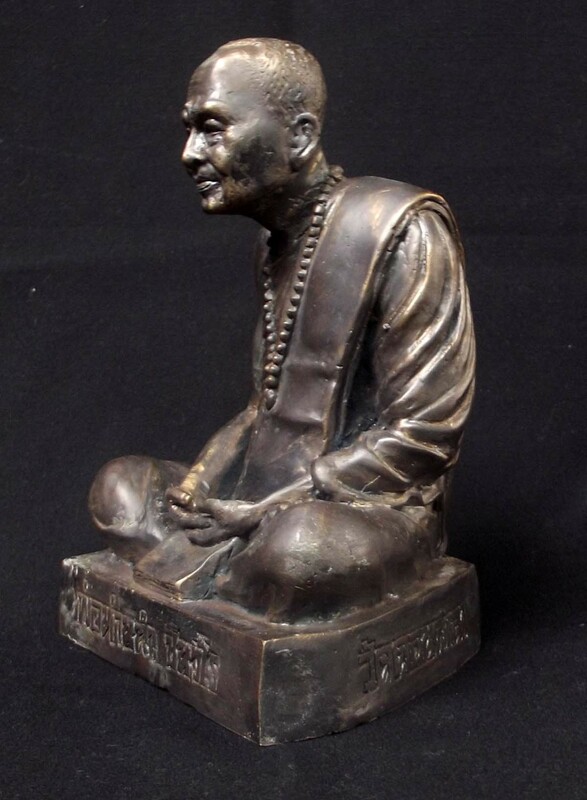 Por Tan Nam is one of the most Famous Monks for Kong Grapan protection emitted from his Monk Coin amulets. The whole edition including these Bucha Statues was, empowered in 2 Major Puttapisek Blessing Ceremonies, the first being held on 31st March 2555 BE (2012), at Wat Don Sala in Pattalung, with 29 Master Guru Monks of the Samnak Dtak Sila Khao Or school of Sorcery present to lend their Psychic Empowerments, Prayers and Incantations. Pra Ajarn Utay of Wat Don sala lit the Victory Candle for the commencement of the Putta Pisek, and Luang Por Iad of Wak Koke Yaem performed the extinguishing of the Candle at the end of the Ceremony. The second Ceremony was performed in the Sacred Cave at Wat Tham Khao Or on the 10th April 2555 BE, once more with a large array of Great Khao Or Masters to perform the Empowerments. As to the Brahman Priest who performed the Initiation Ceremony and the Calling of the Devas , this was performed by the Great Ajarn Prajuab of the Khao or Lay Sorcerors. Made from ‘Nuea Tong Ban Chiang’, the base of the Statue is filled with Sacred Powders. The statue is rather heavy for its size at 1.5 Kilos due to the sturdy build and thickness of the metal. 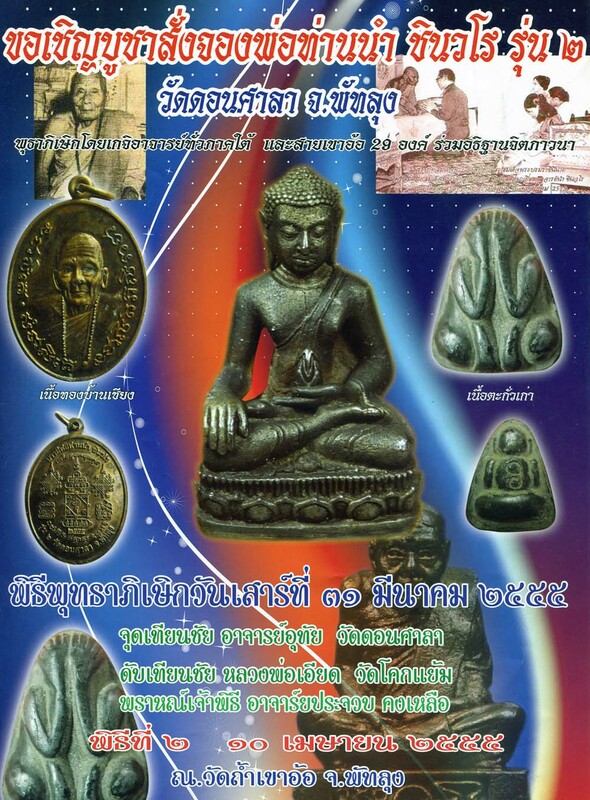 The full edition of this Series included; 5 x 6 and 3 x 5 Inch Bucha statues of Por Tan Nam, Rian Roop Khai and Rian Sema Monk Coins of Por Tan Nam (In Gold, Silver, Tong Ban Chiang, Nava Loha, Albaca and Tong Daeng metals), some Pra Pid ta in Sacred lead (2 different Pim), a Pra Kring Loi Ongk, some Loi Ongk statuettes of Por Tan Nam. Images of a Great Kho Or Guru Master, Made by the current Abbot, Adept Khao or Master and Direct Disciple of Por Tan Nam of Wat Don Sala, and Empowered in double Putta Pisek by 29 of the Greatest Khao Or Masters alive Today. 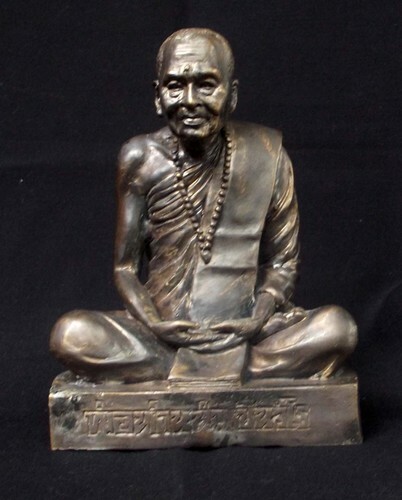 If you are a Devotee of Por Tan Nam, or the Khao Or Lineage, then this is the Bucha Statue to Consider Seriously for your Personal Temple. All amulets of this edition we can confidently predict to have a very long Future which will place them in a highly respected position. 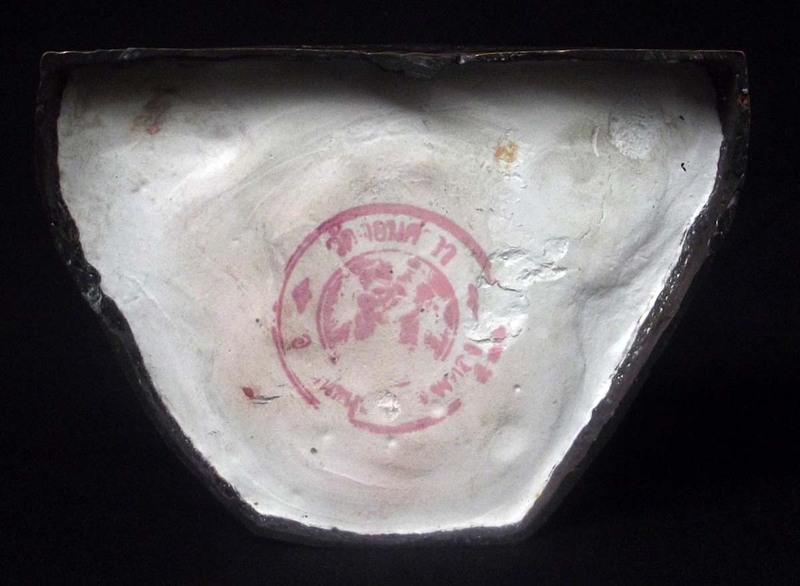 Very few of each amulet were made, which will result in them becoming Rarities more quickly than large editions.